In 1975, the Ohio Legislature passed H.B. 229, the bill that founded our college. Yesterday, we went back to the Ohio Statehouse for a Founders Day Celebration. 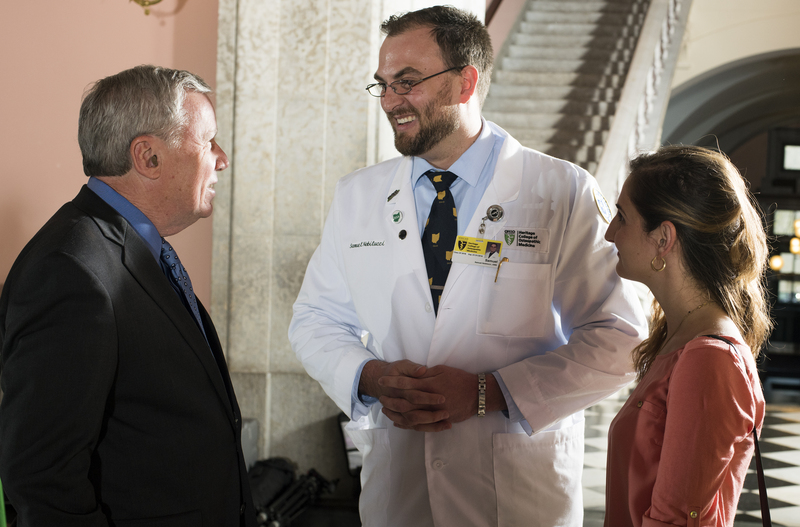 Proclamations were presented in both the Senate and House chambers, and more than 150 guests joined us for an evening reception in the historic Statehouse Rotunda, where we celebrated 40 years of service to Ohio and honored those who made the college and our work possible. There, legislators presented us with a proclamation from Ohio Gov. John Kasich, recognizing the college’s 40th anniversary. The Singing Men of Ohio were spectacular. View photos from the day’s celebrations.